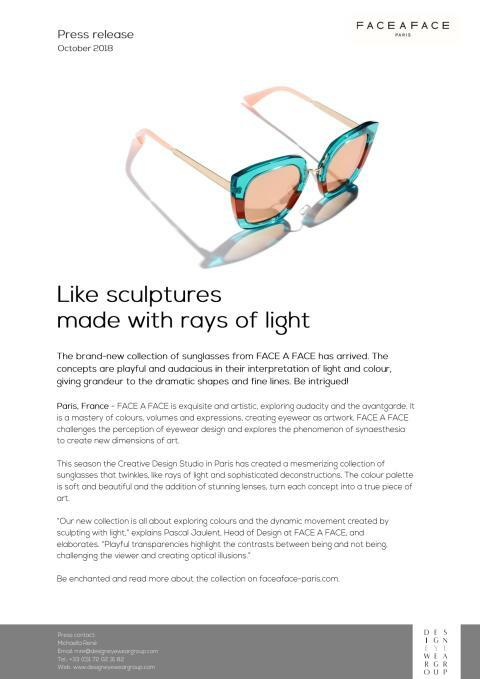 The brand-new collection of sunglasses from FACE A FACE has arrived. The concepts are playful and audacious in their interpretation of light and colour, giving grandeur to the dramatic shapes and fine lines. Be intrigued!